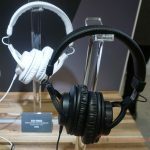 Continuing our reviews from our visit to NAMM this year, we have the all new Audio-Technica ATH-PRO7x on-ear DJ headphones, a model we were excited to try out at the convention. It looks like this year A-T, one of our favorite brands ever, has come out with a few new pieces of gear in their DJ category — not only headphones, but a turntable as well as cartridge on top of it all. This particular pair of DJ headphones give us a slightly different spin than the their previous model we had reviewed, the ATH-PRO5x, which come in as over-ear and closed-back. Today however is their on-ear DJ headphones turn, and albeit more expensive than the other, give us great quality for DJ’s who are serious about their sound and spinning and want to spend a few extra bucks on smaller details hi-fi headphones can bring to the table. 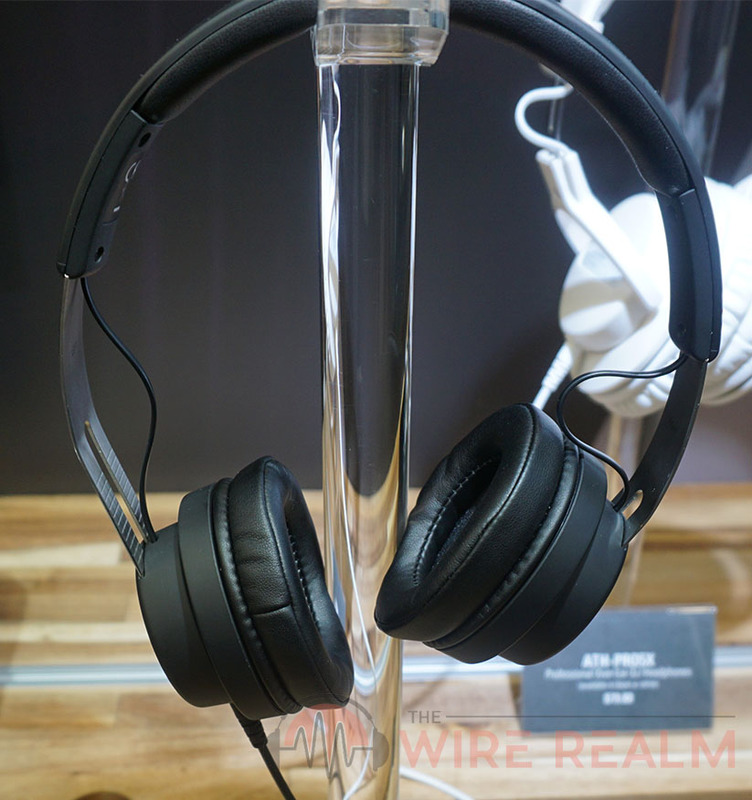 First and foremost, we’ll highlight the design of these DJ headphones. The PRO7x bring us that on-ear type, and for those who aren’t aware of the different headphone builds, on-ear in particular are slightly different from over-ear. 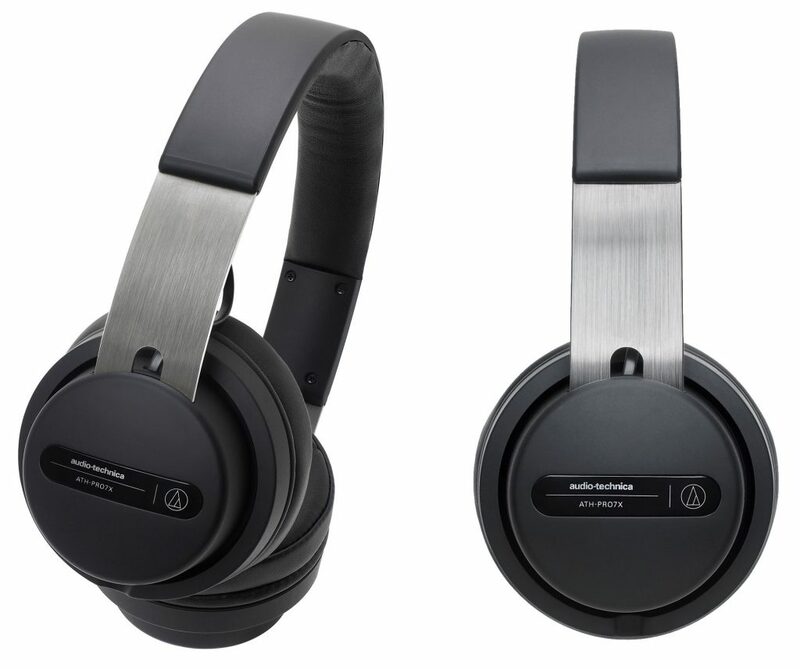 As you can see in the photos, these have slightly smaller ear cups than sit on top of your ear as opposed to than over-ear headphones that surround them. Although they’re both considered closed-back (they don’t allow for sound to leak out, which is great for DJ’s since we need sound isolation, especially at a gig with large crowds to help us hear our mixes), on-ears provide a different feel as well as isolation capabilities. For one, on-ear are slightly less bulky, so many who use these prefer the lightweight (these are only 1 ounce less than the other PRO model) and versatile design, especially when DJ’ing. Second, they’re better in terms of portability (especially this pair since A-T provides us with a little carrying pouch — just don’t sit on it). Many also claim they sound differently, but that’s very subjective and we’ll leave it up to your own human ears to determine. They both sound fine to us. On-ear DJ headphones may also be your gig if you like the comfort, considering they don’t “sweat” as much as over-ears, and are less prone to pain after prolonged-use. On-ear are also said to put less pressure on your headband since the weight is distributed differently than their competitor over-ear headphones. 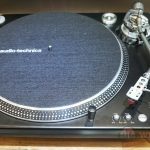 As you can see, a lot of this is pretty subjective, and although we personally prefer over-ear for DJ’ing, Audio-Technica has given us an option for both depending on the DJ’s style and preference. No complaints here, although this model is a bit pricier than the PRO5x. The reason for this however will lie in the specs. In terms of the actual material these headphones are made of, the headband and ear cups are very soft and sturdy. They aren’t necessarily leather, but are a nice material that mimic real leather, and we had zero complaints when holding and wearing these things at the show. The material of the outer shell isn’t military-grade or anything, but it’s quite rugged and durable to last as a long-term investment if you don’t throw them around (like we have before). Next, we’ll talk sound and the overall quality the ATH-PRO7x can bring us. At first glance of the specs, we’re happy with the frequency range going all the way down to 5 Hz and up to 40 kHz — we’re completely covered when it comes to the range of sound here. 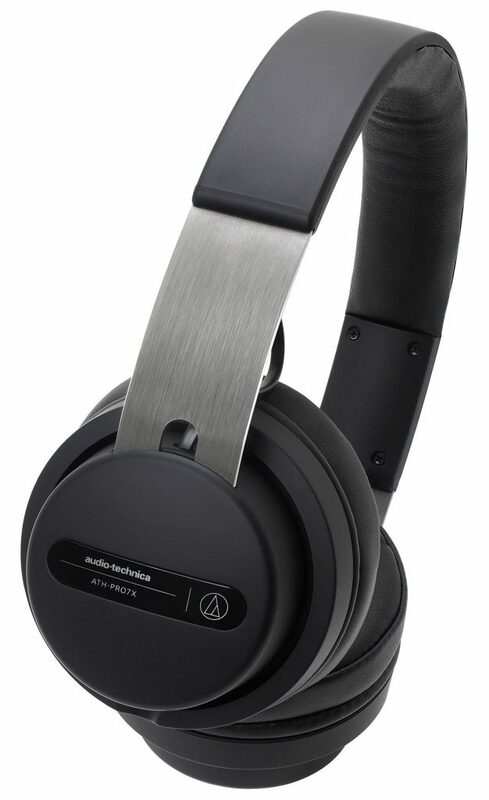 The combined 45 mm drivers (neodymium) and maximum power we can grab at 2,000 mW (about 500 more than their PRO5x) will also provide us some pretty high volume while keeping our detail to ensure an accurate and clear mix while we perform, in our opinion one of the most important parts of headphones in general. We’re definitely getting some hi-fidelity reproduction of audio here, especially at higher volumes (we’d be careful, we have developed tinnitus in our right ear from wear and tear of headphones). It never hurts to know we can crank up that sound if our crowd gets too loud (although that isn’t a bad thing, of course). Combine this all with some higher-than-normal specs in the frequency range, maximum power and driver department, and we have some excellent on-ear DJ headphones here that a lot of lower-priced models just simply can’t afford, especially when it comes to internal specs like this. We’re very glad A-T also gave us the detachable cable feature on these, not to mention the give us an adapter to convert to 1/4″ as well as two cables for switching depending on our mood that day (one 1.2 to 3.0 m coiled and one 1.2 m straight). The cables also lock to help give us confidence they won’t fall out during an important gig or set. We are slightly disappointed the earcups don’t swivel, but many DJ’s we know aren’t caring about than anymore. We’re fine with it. Also, they’re only available in black for now, unlike the PRO5x that at least gave us white as well. Whether that’s a make or break for you we’ll leave out in the open. 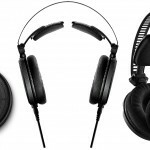 This pair of on-ear DJ headphones starts to rival overs in the $200 price-range, since once we’re up there we get into more advanced internal builds that pays more attention to detail in frequencies and sound reproduction as compared to other, cheaper DJ headphones. This of course depends on personal preference, since technically sound accuracy isn’t a make or break — we aren’t mixing or mastering a professional recording here (if you are using these for that, they can still work, although we recommend open-back cans for that). Being at a gig and having “super clear audio” again isn’t a deal breaker, since we do that ability in pre-production while we prepare our sets. 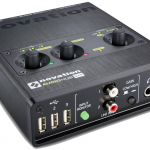 However, having clear sound on-the-fly never hurts, especially when it comes to adjusting to the sound system the venue or show we’re at is using. 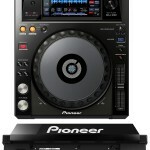 It just depends on your personal preference for what’s important in DJ headphones and worth spending more money on. You can read our headphones for DJ’s guide if you want some competition to look at. 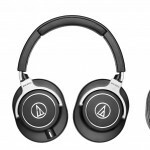 Otherwise, we absolutely love what Audio-Technica has given us with the ATH-PRO7x DJ Headphones, especially if you want an on-ear pair of hi-fidelity cans to bring your DJ sets some strength.